Welcome to LiL 500 Go Karts! Welcome to Lil 500 Go-Karts, an Orlando attraction where the Fun is Fast. Lil 500 is a place to bring your family and friends for fun, thrills, and excitement. Regardless of age, Lil 500 has a special thrill ride just for you. For family fun in Orlando - Call us - 407-831-2045. The original Fastrac, with its uniquely designed track, provides a fast-drifting experience for all who are 10 years of age or older. You can feel the thrill of the Daytona 500 drivers, as you buckle-up the four point harness and punch the throttle. If you are looking for a fun thing to do in Orlando - try Lil 500! The Moto Trac is an off-road experience for ages 8 and older. As you go over the hill and ride the bumpy terrain of the track, you become a part of a road rally in the safety of our go-karts. An Orlando attraction since 1968, the Lil 500 Family Track is a very special ride available to all; but designed especially for the youngest. An adult can ride with a child, on a double-seated kart with dual-controlled steering wheels, for the price of one. Junior karts are available for those 5 years of age or older to experience the thrill of driving a go-kart on their own. This is family entertainment at its best! If you are looking for an easy and different party for a child or any group outing, Lil 500 is the place. With Special Group- Rates and 2 large fenced and covered picnic areas, it is fun, exciting, and affordable. Start your children driving at Lil 500 Go-Karts at a young age and watch them progress from one track to the next as they grow in age, height, and driving skills. Need a website for your business? Visit us on the web! Are you considering throwing a party at Lil500? 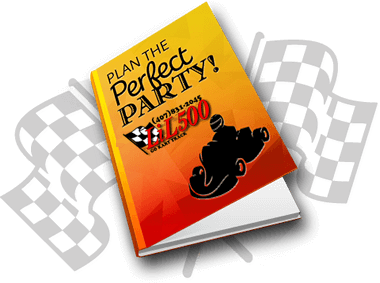 Visit the party guide page for full details and instructions on how you can have a amazing party at lil500! 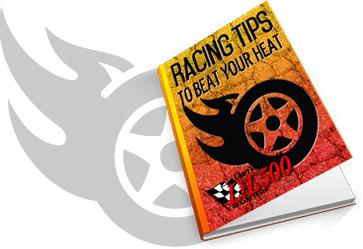 Do you want to learn how to race like one of the pros? How to corner the turns and get the fastest time? Visit our racing tips guide page and learn from the staff how to beat the track!